The Thrive Programme is a life-changing, evidence-based training programme that empowers you with the skills, insights and resources in order to take control of your life, overcome any symptoms or problems you have, and thrive! 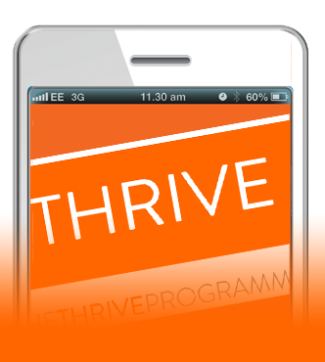 The Thrive Programme delivers a totally fresh approach to achieving lasting happiness, health and success. Created by Rob Kelly – a therapist with over twenty-five years clinical experience – and a team of researchers based at Cambridge University. Let’s get one thing clear…The Thrive Programme is NOT therapy. In fact, it is the polar opposite! Therapies and treatments simply wait for a person to become unwell or stressed and then show them how to respond to it. The Thrive Programme, however, trains you to become so psychologically effective that you won’t get anxious, stressed or depressed and when you encounter the challenges of life, you will have the skills and resources to take anything on, with complete confidence. The journey to thriving is different for everyone, and we all have different starting points. You might have been suffering from a problem for years or have a new problem that you are finding it hard to deal with. The Thrive Programme helps you to see a clear path forward that will not only enable you to overcome the problem, phobia or anxiety that you are currently encountering, but – even better – to go on to thriving. Clients completing the programme usually report feeling significantly better in a matter of weeks, and the programme is carefully designed to be easy to understand and easy to follow, ensuring your success. Why is this different then? Thrive doesn’t just focus upon giving a person some isolated insights, tools and techniques to cope with a symptom or problem. These approaches are ‘fire-fighting’ – trying to control or reduce the anxiety AFTER we have already created it by our thinking. Often people tire quickly of having to maintain this level of effort of fending off negative thoughts. The Thrive Programme is about Thriving and overcoming symptoms is just a part of that. It is about creating strong psychological foundations (eg, good self esteem) so that we are not creating anxiety. You don’t need to fire-fight if you are not setting fires in the first place! The Thrive Programme is effective for people of all ages, and it has helped thousands of people to overcome a host of personal difficulties.  Consultants are skilled in tailoring the programme so that it is effective for you, helping you to gain self-insight and to develop skills that are integral to the programme.